Entertaining your favorite ghouls and gals this Halloween? 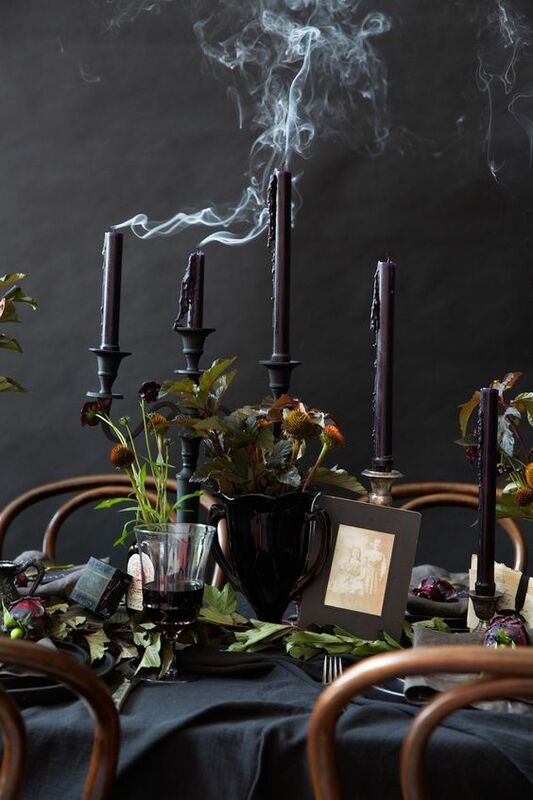 From custom drinks to Morticia-approved place settings, bewitch your spooky soiree with some of these festive decorating ideas! Set the tone with a black table cloth, and rich accents in jewel tone shades. 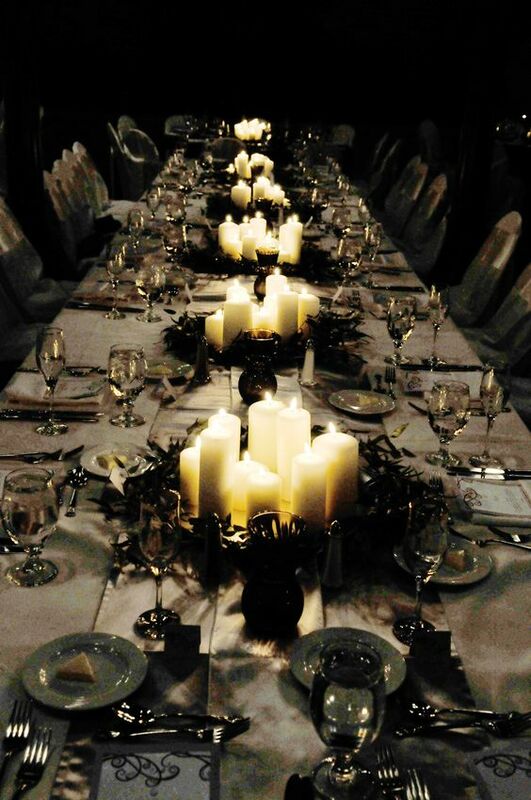 Moody lighting is essential for a Halloween bash - plan your candle groupings accordingly. Quick pumpkin crafts will add a little bite to a place setting, bar cart, or lonely corner. Add height to your candle display by using empty vases of all sizes. Affix bat silhouettes to a dried arrangement, or suspend them from the ceiling for extra dimension. 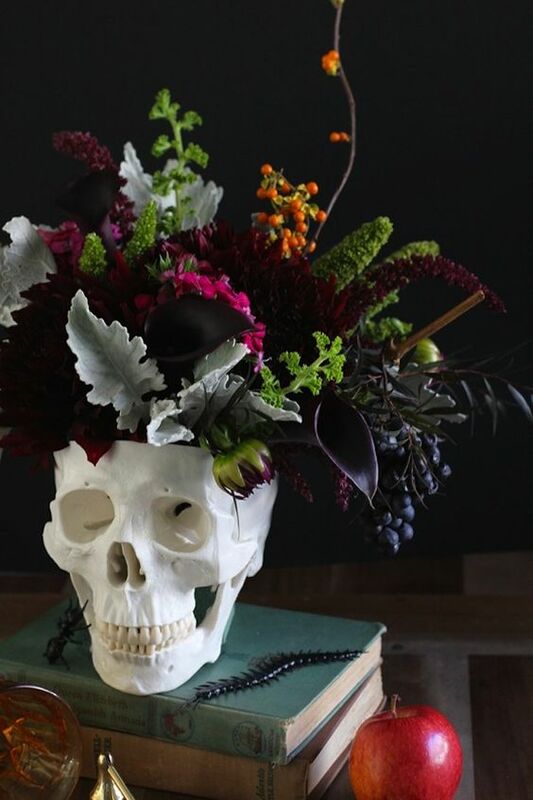 Create a cabinet of curiosities theme on your table by decorating with natural oddities such as shells and skulls. A Halloween gathering calls for rich, savory, colorful foods. Put a feminine spin on your party with a little sparkle - bedazzled skulls anyone? 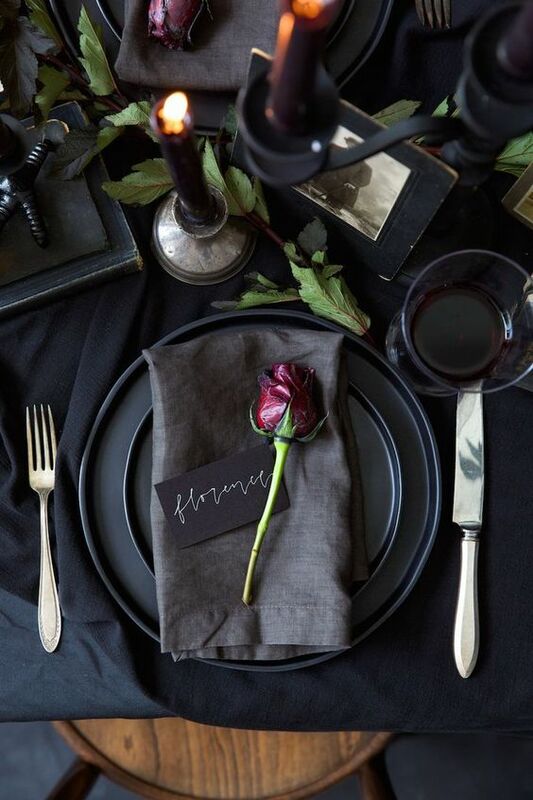 A table setting with black textiles and plates offers the perfect backdrop for bright, bold flower arrangements. Don't forget a little whimsy at the bar cart! 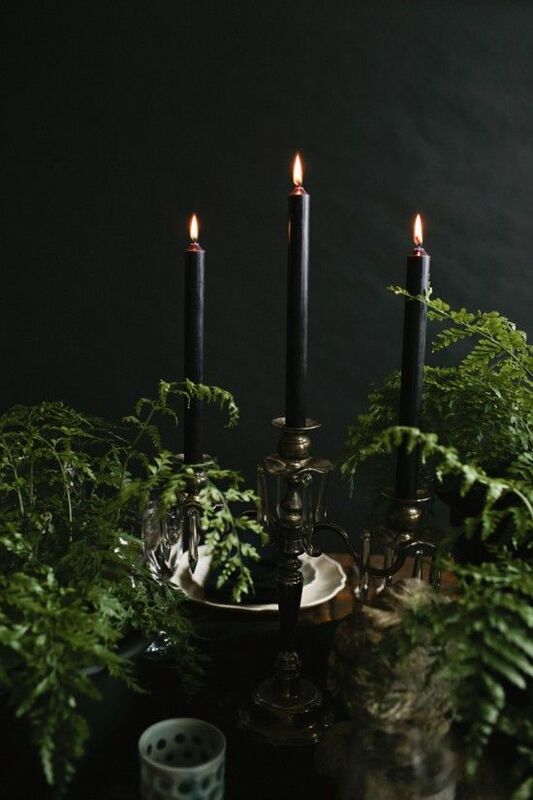 You can never go wrong with something simple, such as the pairing of black candles with lush ferns. A signature drink is a must-have. 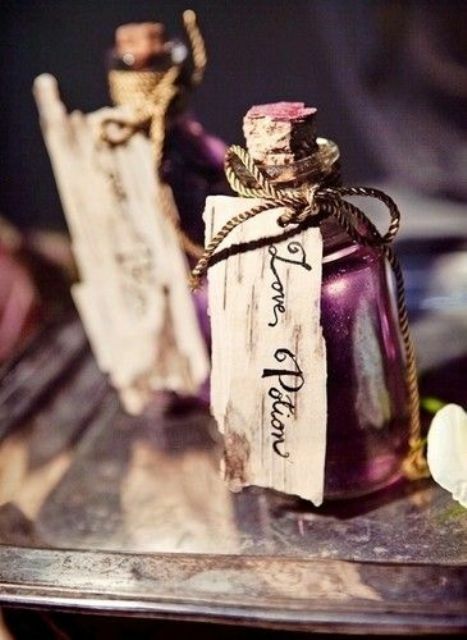 What will you be making in your cauldron? Once you've stirred up the party's custom drink, be sure and give it a worthy name! You aren't forced to stick with an orange and black color scheme for Halloween! Try mixing in surprising shades like hot pink and lime green. Need a hand collecting more entertainment ideas?